With a comfortable, breathable and bounce-free design, this waistpack carries all of your small essentials for leisure and training outings. Built with breathable mesh fabric, the Amphipod AirFlow Lite runner's belt combines a bounce-free design with a low-profile fit to comfortably store small essentials while you log your miles. With improved comfort and adjustability, MicroStretch Plus securely stores your phone and other running essentials in a low-profile, bounce-free belt, keeping you swift and focused on the finish line. 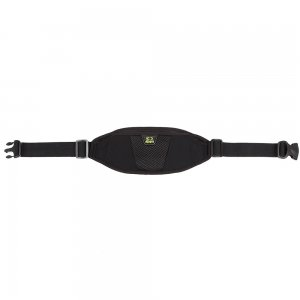 Rugged microfiber nylon construction and expandable storage make the Amphipod AirFlow Trail Pack storage belt ideal for running, light hiking or walking on your favorite trail. Keep your gear close and easy to access while running or walking thanks to this waistpack's expandable storage pockets and easy-to-grab water bottle stash system. 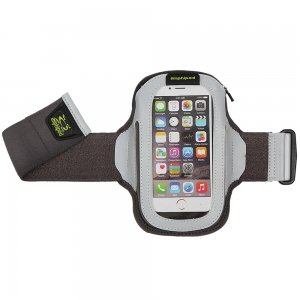 Enjoy full touch-screen access to your large smartphone while running with the Amphipod ArmPod Sumo Reflective Burst case. Reflective silver material adds visibility, alerting others to your presence. 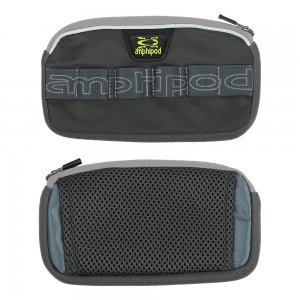 Designed to accommodate large phones such as the iPhone(R) 6 Plus, this versatile pouch attaches to a belt or pack straps so you can easily carry essentials during long runs or races. The Amphipod Flash Dot LED Vizlet safety light is ultrabright, ultralight and super-versatile. The mini wearable flashing LED reflector helps you be seen day or night, and especially after dark. The Full-Tilt AirStretch Trail Off-Road Bottle Waistpack has a rugged, trail-ready design with ample storage to fit hydration, nutrition and smartphones of all sizes. Let passing traffic know you're out there with the Amphipod Full-Visibility reflective vest. Be seen during nighttime runs and bike rides with the Amphipod Full-Viz Glow(TM) vest. The Amphipod High-Five K Hydration Waistpack offers the perfect combination of liquid capacity and ample expandable storage for carrying your long run essentials.